Developing, implementing & testing a new human centric office lighting. Are there any benefits to rent this type of solution? What are the effects of human centric light on the office workers? Also, is it possible to rent lighting that includes todays and future upgrades? 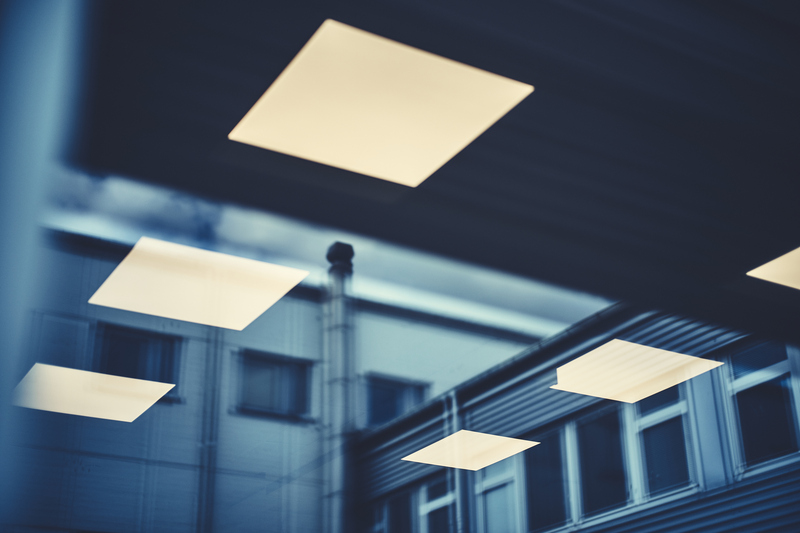 Apart from the technology and actual light sources needed, BrainLit also provided the possibility of renting their solution for a fixed price per month, and they worked with “light recipes” to configure the light to mimic daylight (the Human Centric Light part of the project). 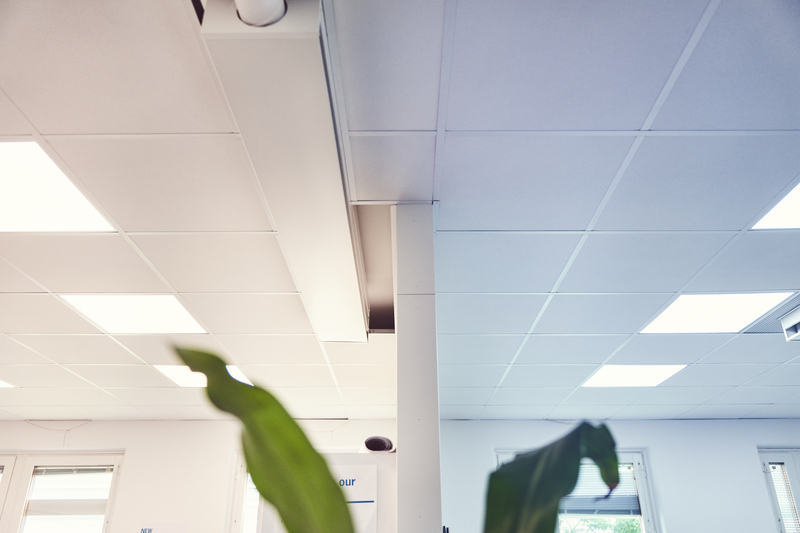 In the beginning, the solution covered almost our entire office space area, mainly divided into three parts with individual setting options (about 200 square meters, including meeting rooms, but excluding one smaller part that didn’t meet the requirement for installing this new light, i.e. it didn’t have a suitable ceiling). 2016 Installation done in April. The light could in most rooms be controlled from warm white to cold white by pressing the buttons in the panel in the wanted area. The other rooms had predefined buttons corresponding to either controlling the light level in percent or colour. 2017-05-29 Training and information about the new user interface with the staff. 2017-06-05 Upgrade of all the drivers and increase of frequency (Purpose: Try to minimise flicker). 2017-09-29 Questionnaire number two sent out to our staff. 2017-10-19 Performed an objective “measurement” using a risk assessment method for visual ergonomics, VERAM (Visual Ergonomics Risk Analysis Method). 2018-04-20 – Questionnaire number three sent out to our staff. VERAM consists of two main parts. The first part is a subjective questionnaire with questions regarding the individual’s problem such as eyestrain and headache, but also their rating of the visual environment. This is covered by the questionnaires sent out to the staff. Around 15-20% feels that the light is ”too strong/sharp” and that there is glare. This is confirmed visual environment report. > For full report please visit Knowledgebase in the main menu. The contract can be ended, and you don’t have to handle the old equipment. Just make sure to include who is demounting it after use. It has been hard to keep a fixed area (we expanded our office) to use for the evaluation during these two years and in our company, we have few people that are at the office every day. The new way of contract by renting the light seems to be a unique solution and have rendered in lots of interest, especially since we are not a private company. By renting the light, one part of this agreement was to upgrade the light (both hardware and software) constantly. During this time period we are now into a third generation of lighting solutions partly based on the evaluations made and partly on what has been new on the market during the time of operation. Since we are moving to a new office, we hope to be able to continue with this type of dynamic light solution. The solution has proven very flexible and scalable, although we are not looking at expanding any more at the moment. The technology has matured during the project, and we will analyse the responses from the questionnaires and the written report with recommendations and try to follow the steps to make our future office even better to work in. We have seen some improvements, but the system still needs to change to be able to benefit from all the positive effects of the light. An interesting effect from using a new business model, where we rent the lighting etc, where we as a tenant could get new lighting solutions even if the landlord is not willing to invest in this kind of solutions in existing buildings. This both opens a new market for future lighting solutions and also a possibility for new sources of possible value-based sources of income from users where effects other that reduction in energy use can be the new win-win solutions. 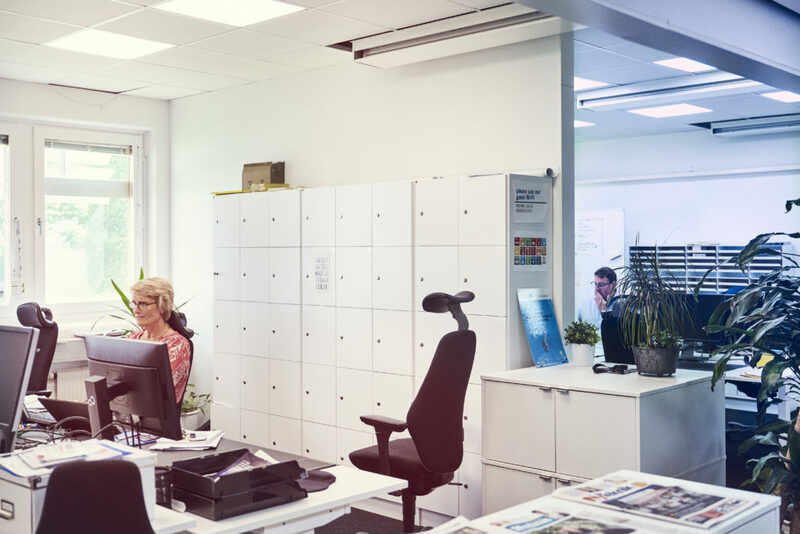 One thing we have already recognised is that we have to work on the interior as well as the light to be able to get a better overall office environment.